It is becoming easier than ever to drive a successful lead generation campaign. And believe it or not, social media can help you get there. Here are some simple tips on how to utilize social media to help produce new business leads. The best leads are the ones that are already visiting your website. There are website tracking tools out there that can help you identify who these people are, and once you’ve identified them, you can start connecting and building the foundation of a beneficial relationship. Once you have identified your leads, connect with them through networking sites such as LinkedIn, Facebook, and even Twitter. There is more to social media than what meets the eye. It’s full of opportunities and beneficial information; you just have to know where to find them. Take a look at what is currently trending in your industry. Use keywords, hashtags and look to industry experts and influencers that are relevant to you and your business and there you will find a whole stack of potential leads. You can do this by manually searching various social media platforms, news outlets and the internet, or by using social listening management tools. And when you connect with these potential prospects, think of it as virtual networking rather than cyber stalking. Who doesn’t love free stuff? Hosting a social media giveaway is an excellent way to engage your already established community, while simultaneously garnering new leads. You can host the giveaway right on your social media profile(s) or on your website and promote it through your social media. No matter which way you go, just make sure you choose a prize that is relevant to your industry and gives people an incentive to participate. Retargeting is a smart way to stay relevant to current customers and attract new ones. There are two main approaches – pixel-based or list-based approach (or both!). Pixel-based retargeting is when a unique piece of code attaches itself to a website visitor which then tracks each page and the specific products that they view. Then, when that person is visiting a social networking site or just casually browsing the Internet, they will start seeing ads containing those specific products and pages they previously viewed. List-based retargeting is when you upload a list of emails, let’s say to Facebook, and then Facebook finds those people as well as people with similar characteristics to target ads to. Retargeting not only keeps your name and messaging in plain sight to those you’ve already done business with, but it also nurtures new prospects. So someone in the research phase of the buying process will be shown your ad multiple times, and each time they see that catchy slogan or attention-grabbing imagery it will be cemented in their brain a little more. When they’re ready to commit, you can thank your retargeting strategy. 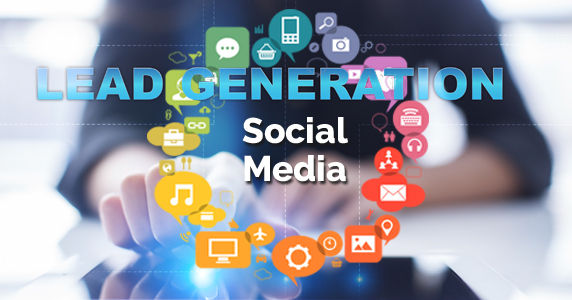 If you would like more help with your Social Media Marketing campaign, contact CGT marketing we can help develop just the right mix of new ideas, strategies and tactics that achieve measurable success for you.